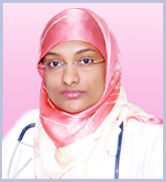 Gynaecologist & Fertility (Test tube baby) Specialist. This website is dedicated to couples who find difficulty in conceiving naturally. Infertility is a stressful situation which may interfere with quality of life. Many of our infertile patients inspired us to introduce such a website for this large growing community. We hope this website may guide and give supportive information for couples who are in dilemma regarding their treatment. Depression and anxiety are common problems for those having trouble in getting pregnant. We take an individualized approach where the physician gets to know you, your partner and treatment plan as the care for the infertile couple must be tailored to the individual needs. We provide medical solutions including the latest and updated treatment available in international standards based on evidence based practices.